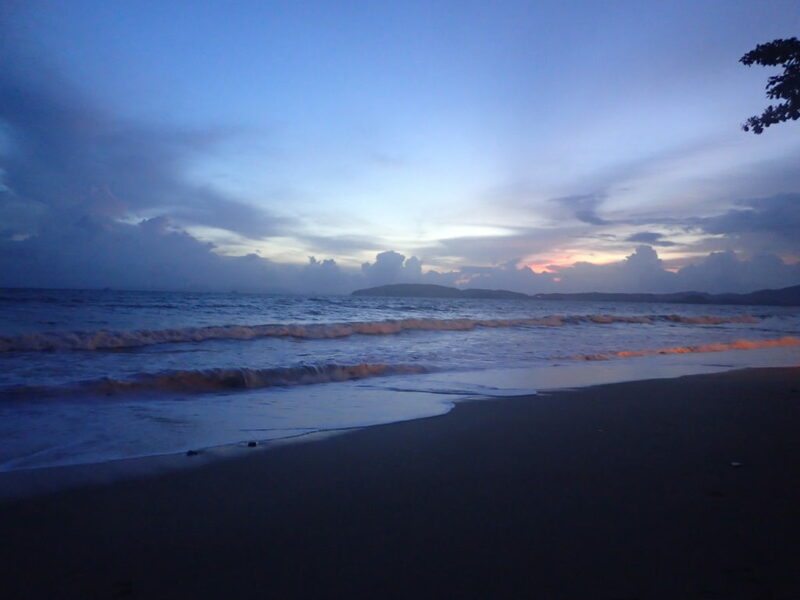 We had a wonderful 2 week family holiday in the Krabi area of Thailand last summer. I can highly recommend it! The weather wasn’t always perfect, but we had plenty of sunny days in the end. And sometimes it is good to get some rain so you don’t get too sunned out and cranky (particularly with children). After all, Thailand is a tropical country so some rain is to be expected! We flew from London to Krabi via Doha on Qatar Airways. It was our first time flying with Qatar, and we were so impressed with this airline! They provided lovely activity packs for the children and fun lunch boxes at meal times. 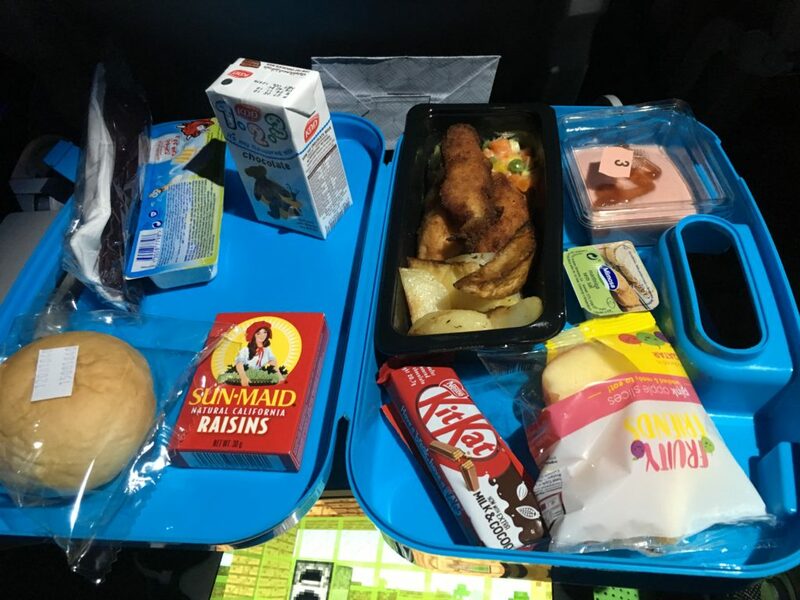 The kids were treated so well by all the flight crew. The leg room was pretty good, and the entertainment system was brilliant too. 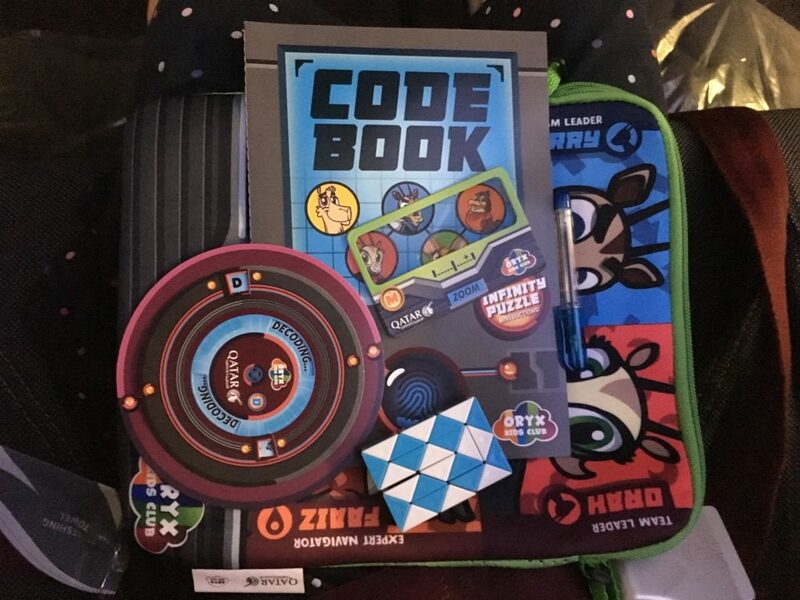 The kids were delighted with their complimentary activity packs! The pool was a good size and very clean. You can order food and drinks and get clean towels at the poolside bar. 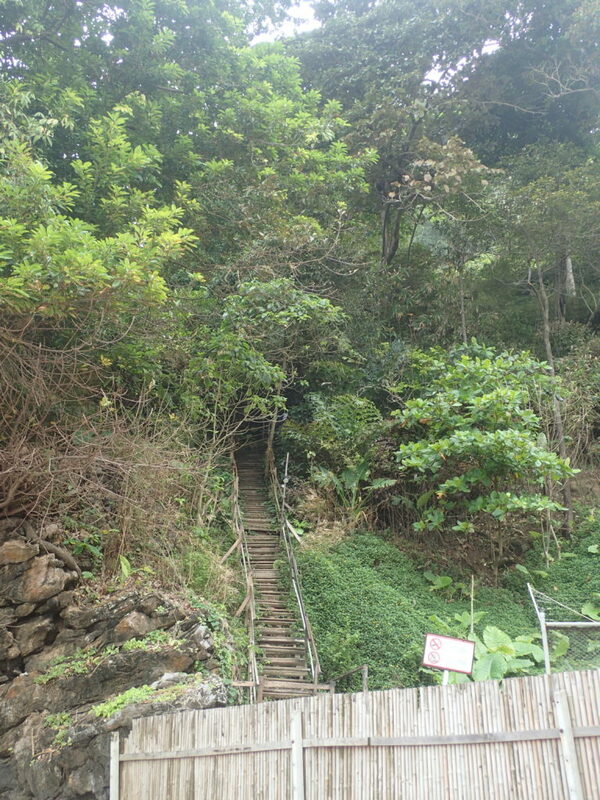 We stayed in two adjoining bungalows which was called the “family bungalow”. 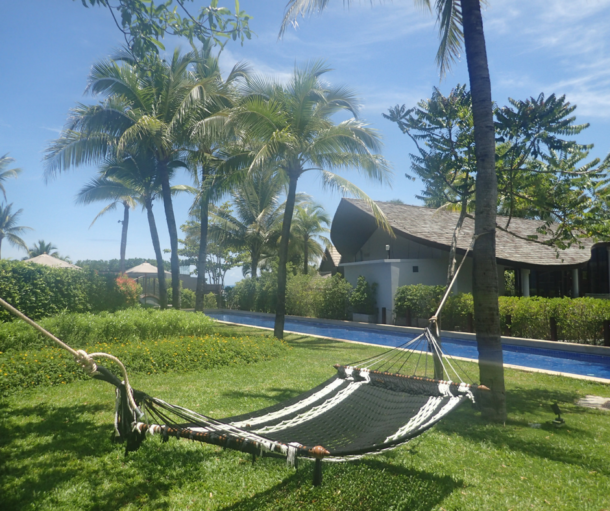 Each bungalow had a large bed and we had two bathrooms which was great for a family of 5. A cot was provided for our youngest though he ended up sleeping in our bed a lot of the time anyway! Breakfast was wonderful. You could order as much as you wanted from the menu, including the usual eggs, sausages, bacon and Asian favourites like rice soup or roti (our kids loved the roti with chocolate sauce…no surprise there) and there was also a small buffet for juices, fruit, breads, and small cakes. We also attended a towel folding class at this hotel. After the class the lovely ladies teaching it gave us juice and cookies. I know that sounds a little random, but it was fun! After the class the lovely ladies teaching it gave us juice and cookies which was a nice touch. The kids enjoyed folding all our towels when we got back to our bungalow. Perhaps they could get jobs at the hotel now! There are other free activities and classes at the hotel and there is a massage hut by the pool as well which is of course a must! I found the prices very reasonable. 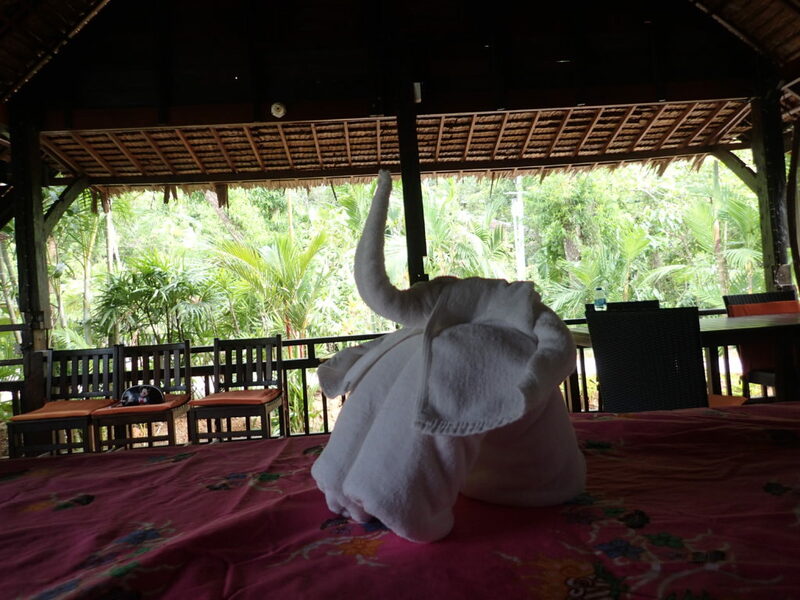 You can learn how to fold towels in the shape of an elephant! I’ll bet you always wanted to know how to do that? The hotel is not on the beach or walking distance from one, but there is a free tuk-tuk service from the hotel that can take you to and from the beach at Ao Nang. Ao Nang is a buzzing town with many restaurants, bars, and shops.The beach itself was not the best one but it is worth a visit. A short stroll from the hotel we found a great little roadside family-run restaurant called “11/1 Thai Food and Cocktail” which I highly recommend. The food was delicious and inexpensive. They do enormous fruit shakes and great cocktails as well. 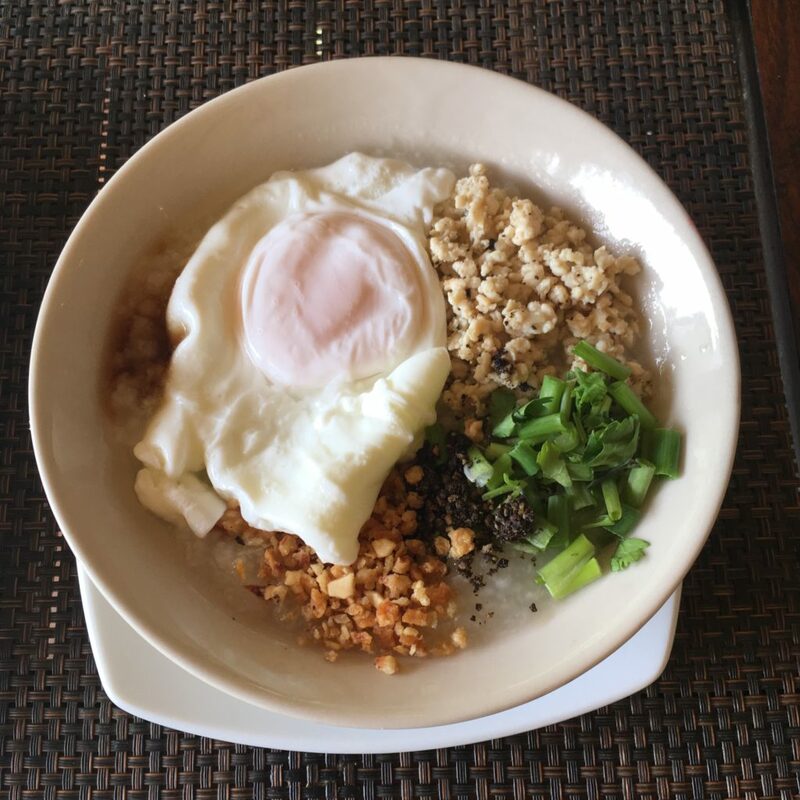 They are rated number 5 on tripadvisor at the moment for best restaurant in Ao Nang and I can see why! The second hotel was the Centara Grand. The journey to this hotel is a bit of an adventure so I am glad we booked this as our second hotel and not the first one from the plane. You have to take a boat to the resort, as it is physically hemmed in by mountains. Then when you get off the boat there is a long and precarious jetty to negotiate! 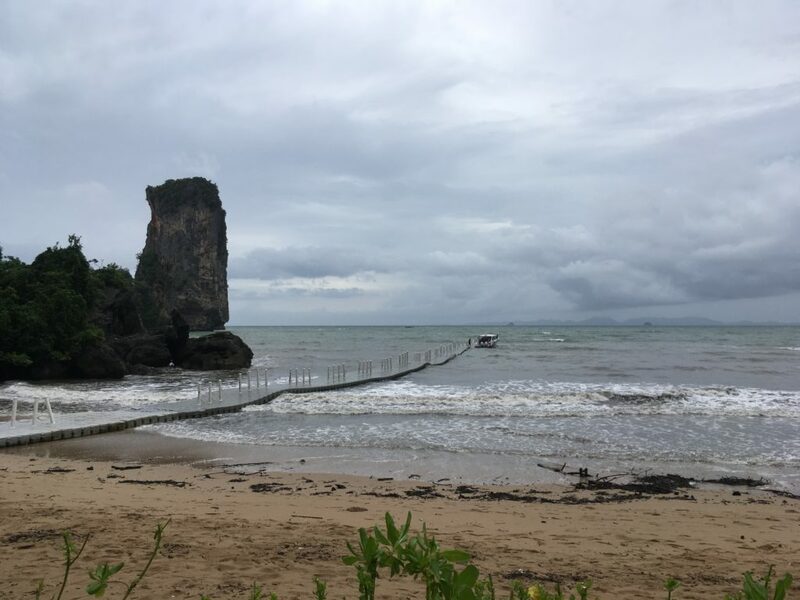 Not for the faint-hearted (particularly during monsoon season as the waves are quite choppy) but the staff do help you (and they carry all your luggage and sometimes your children!) My eldest who was 9 years old loved the jetty experience though, as if it was some sort of assault course, and wanted to do it again! The boat stops near the end of this jetty and then you have to walk! Unfortunately the weather was not great when we stayed at Centara Grand, but we still had a good time. 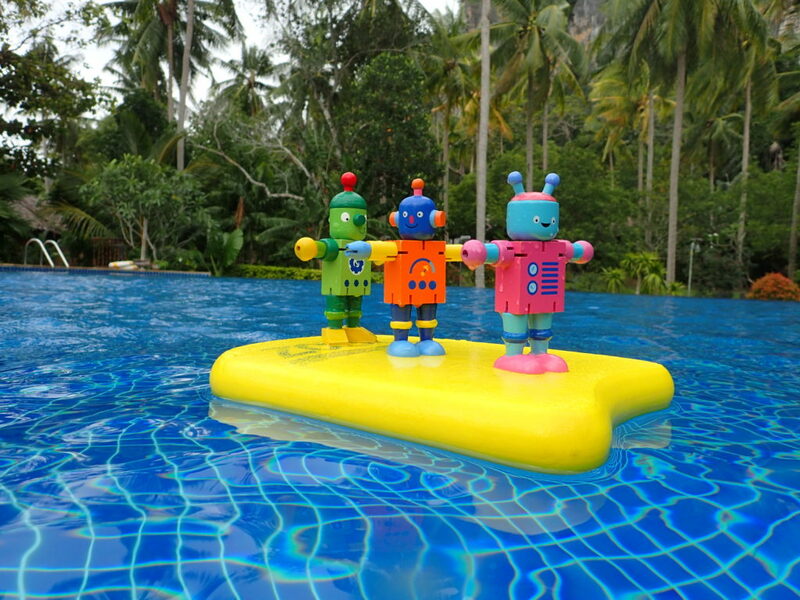 There are two swimming pools, and a good kids club which has daily activities. Most days after breakfast the children wanted to go to the kids club so we would send them in there and then go for a swim. 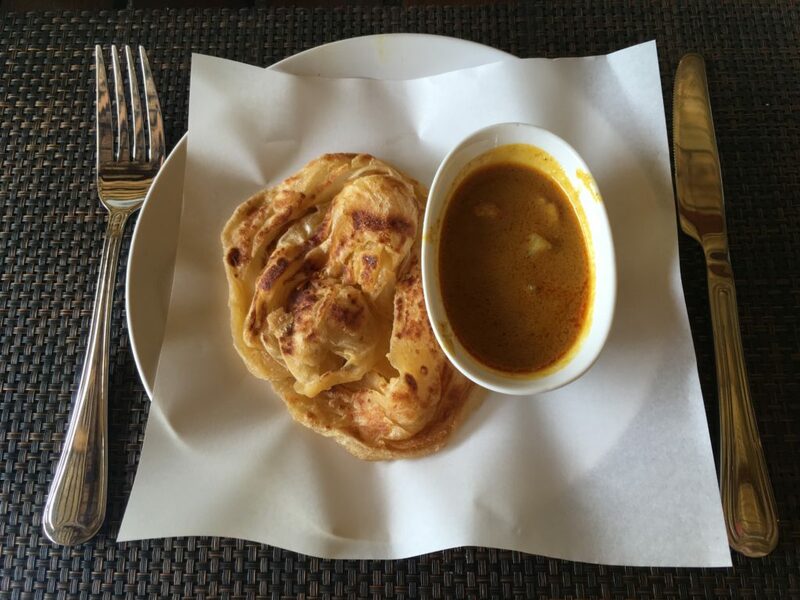 The food was good at Centara Grand, but as you can’t leave the resort very easily you do end up eating at the hotel restaurants, which are pricy! We did enjoy some beautiful sunsets there over cocktails and dinner, and there is a good vibe sitting right by the beach. I also really enjoyed being surrounded by dramatic cliffs, which are stunning. 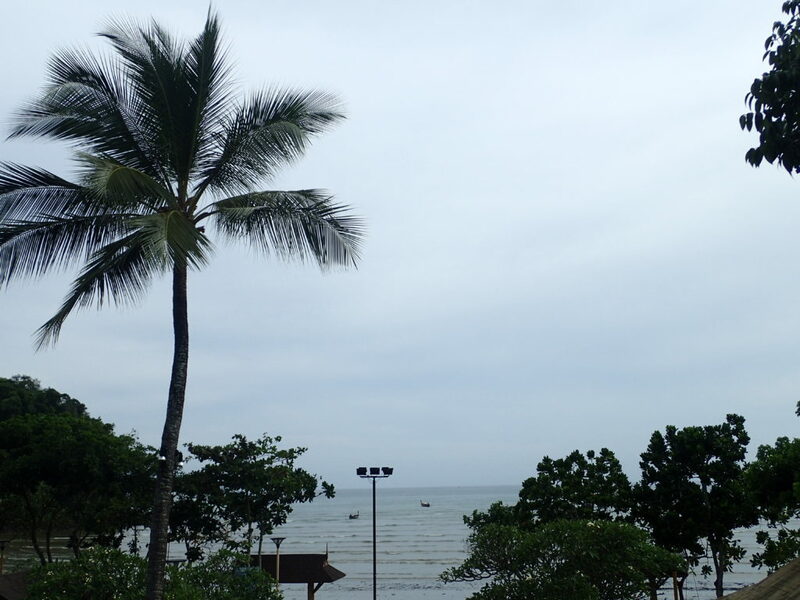 Our next move was to the Holiday Inn in Ao Nang Beach. This hotel is right on a buzzing street, and possibly not the nicest location, in terms of accessibility to a peaceful beach situation! The family suite we stayed in was excellent though, very spacious, with a separate area with bunk beds, bedside shelving and a chalkboard for the kids, and the price was decent. Also kids eat free here! And the kids club is very big and has a soft play, complete with ball pool and slide. 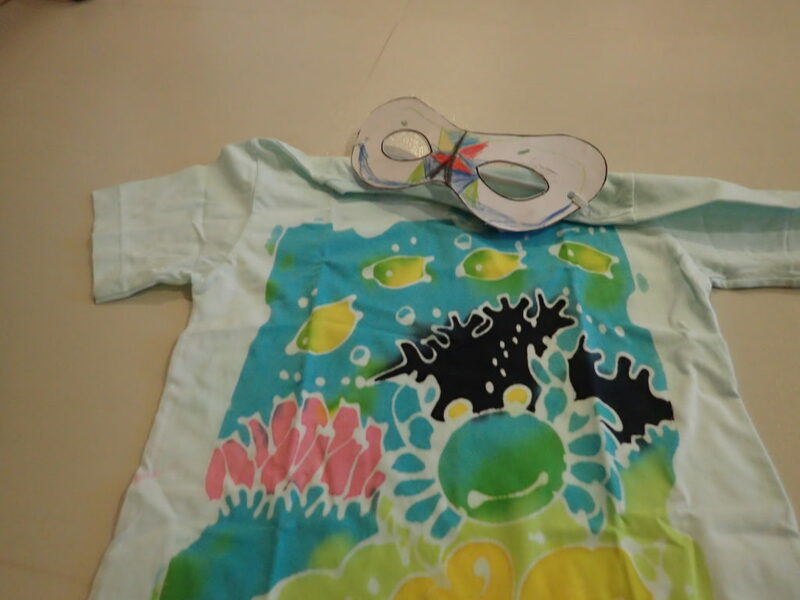 There were activities on every day, including a party with the mascots, sand art, mask-making, Batik T-shirt painting and cooking Thai desserts. Kids under 10 were allowed to play on the X-box during one hour of the day, which was a big draw. We also enjoyed the free fire show which we were able to watch from the hotel restaurant. There was a singer and guitarist performing most nights, who were actually quite good, but this did become rather repetitive and we could hear it from our hotel room which was not great as it went on till about 10pm which is late for the children, so we were usually putting them to bed with the music and songs audible in the background! I think I would still recommend the hotel as the kids club and the room were so good, but I would not recommend staying there for too long, 2-3 nights is probably enough! 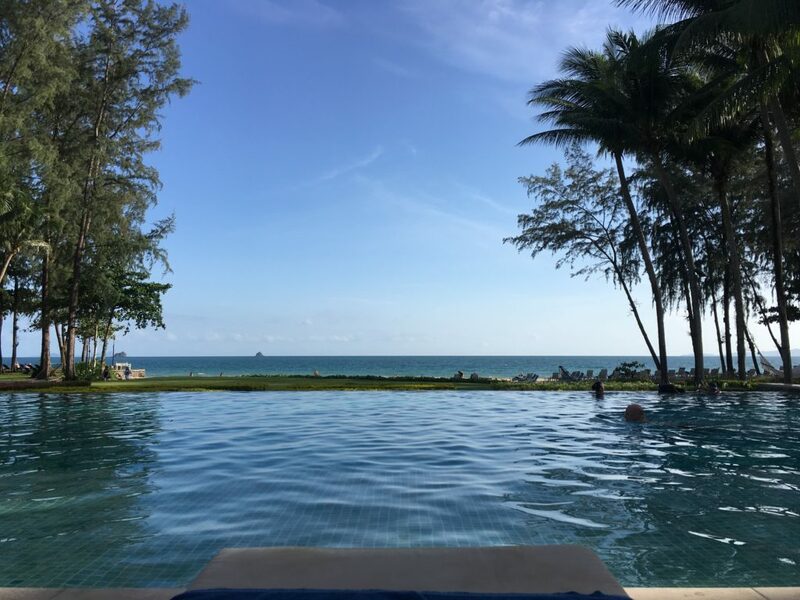 By far our favourite hotel of the entire stay was the Dusit Thani Hotel in Krabi. I discovered at the end of our stay this hotel is also the film location for the lobby scenes in the film Hangover 2, which only added to my enjoyment of the stay! The rooms here were comfortable, we had two adjoining rooms each with two double beds. Our rooms were not particularly large and the balconies were nothing special, though we had nice views of the grounds and a big pond covered in water lilies. But the pool areas and the beach were incredible, and the breakfast was really good. 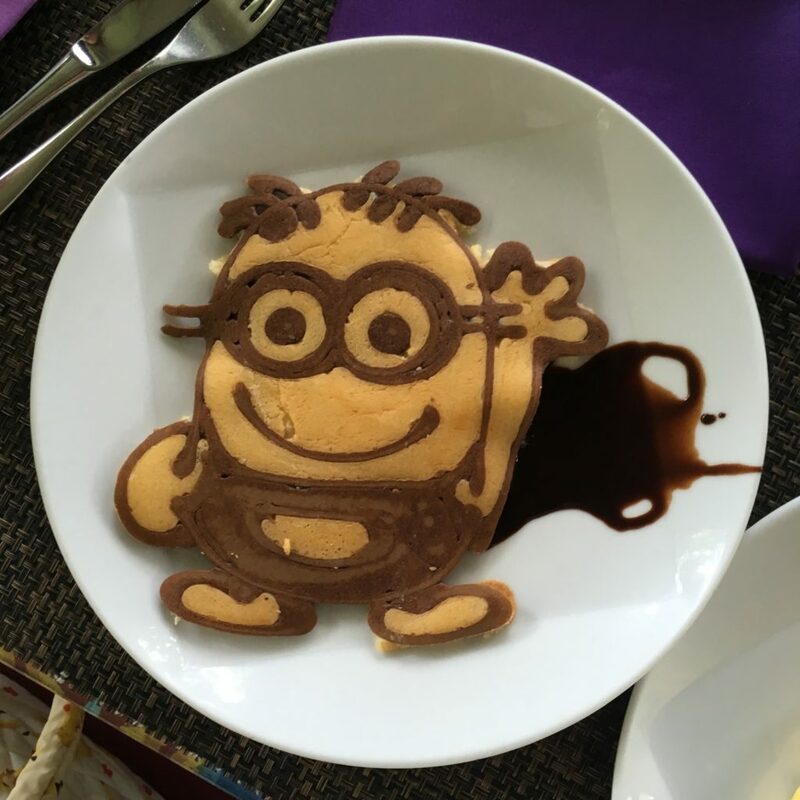 The highlight at breakfast was that there is a chef who makes pancakes to order, in the shape of literally any character you can show her a picture of! 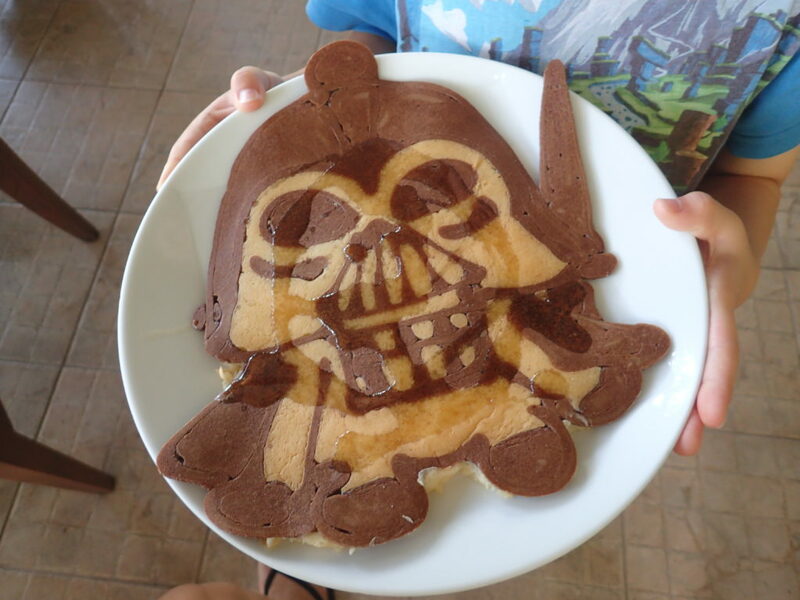 Over the four nights we stayed, the children had Peppa Pig, Darth Vader, R2D2, Sleeping Beauty and Minion pancakes…I’ve never seen anything like it, this woman deserves a medal! The weather was great during our stay at this hotel, and it truly felt like we had found the “beach from Moana” as the sea was tranquil and beautiful. We enjoyed wading across the shallow water that you can see in the photo below, and playing in the sand all day long. Just SO relaxing! 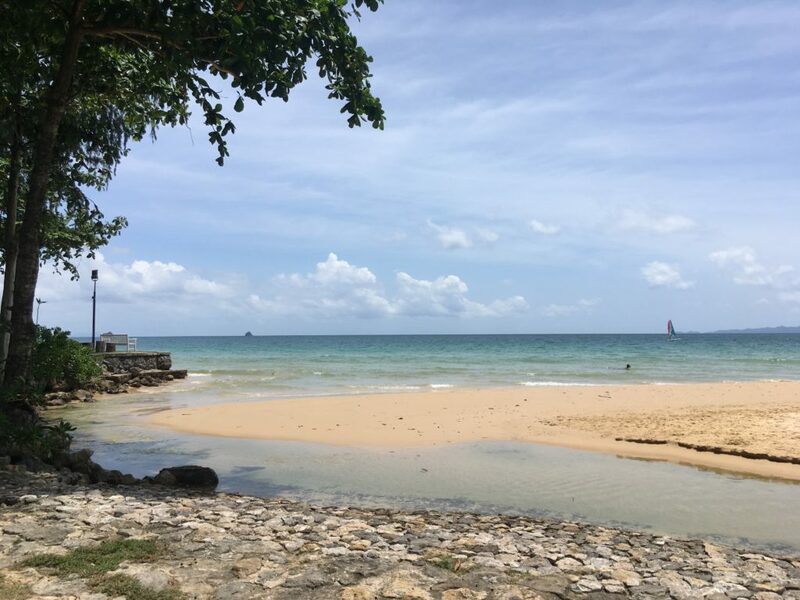 Stunning beach views at the Dusit Thani. So there you have it! 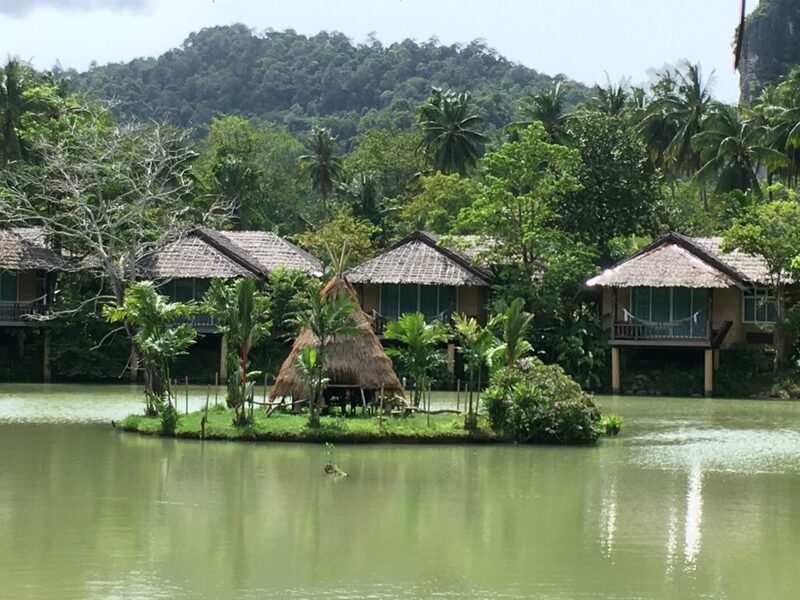 4 really good options for hotel stays in Krabi, Thailand. Happy holiday-hunting! 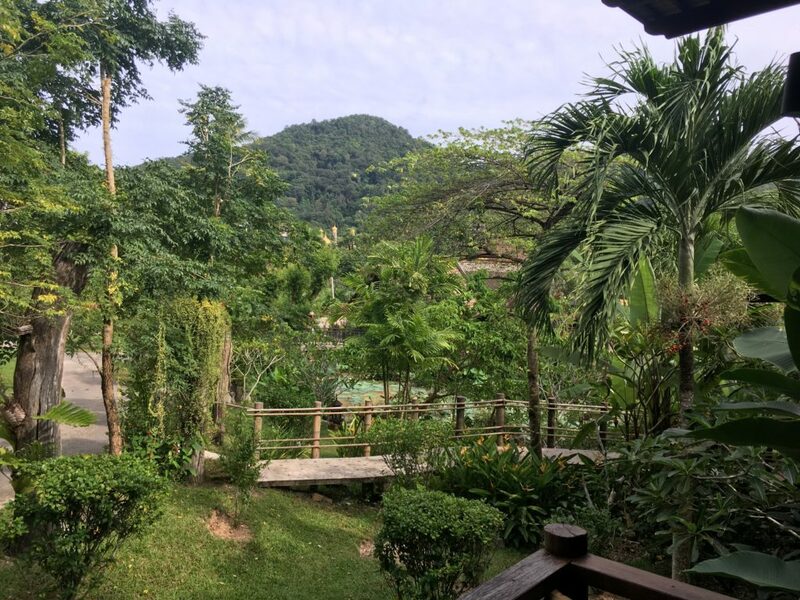 If you’re considering Phuket as a destination, please take a look at my post (link below) for 3 great hotels for families which we stayed in the summer before last.